Musandam Tour Dibba starts with the Pick Up from your Hotel. 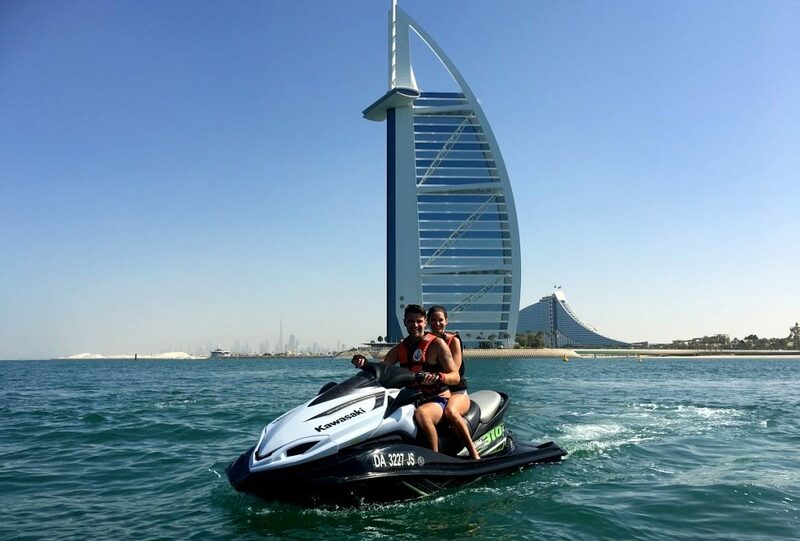 Pleasure charming scene of Dubai, Sharjah & Fujairah landscapes all through the way. 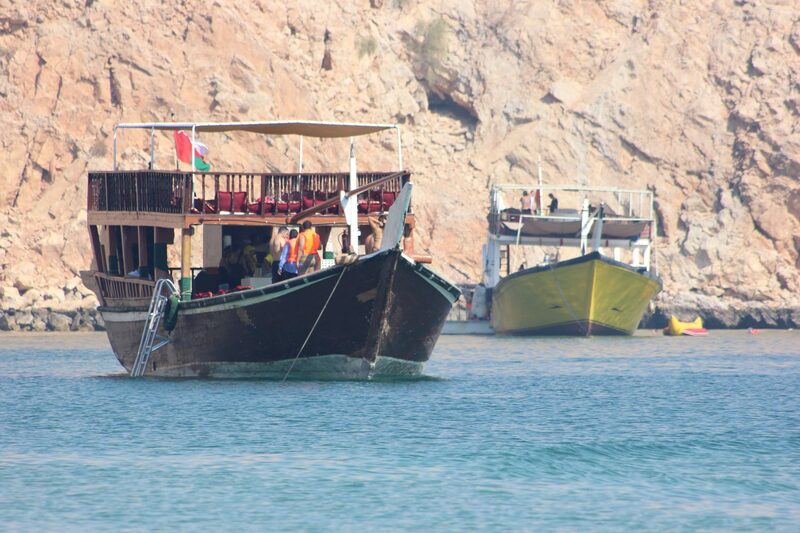 Musandam Tour Dibba Oman is about 160 km from Dubai, and will take about 1 hour & 43 min without traffic. 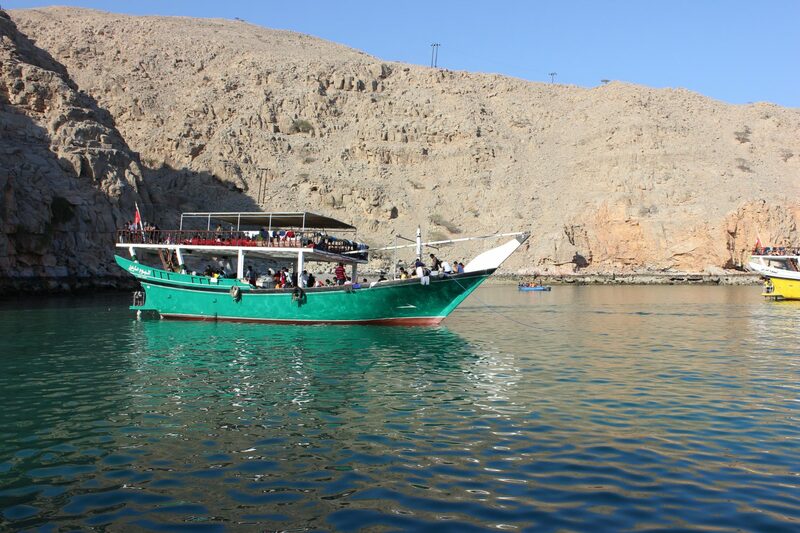 Drive through the route crosses a Sharjah State Border to Musandam Tour Dibba Oman. 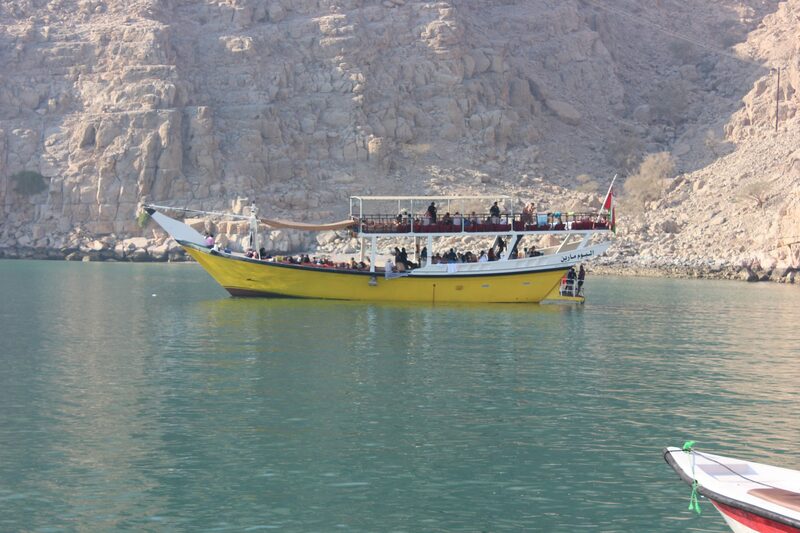 Once clear all the verification process you are welcome in Sultana Of Oman. 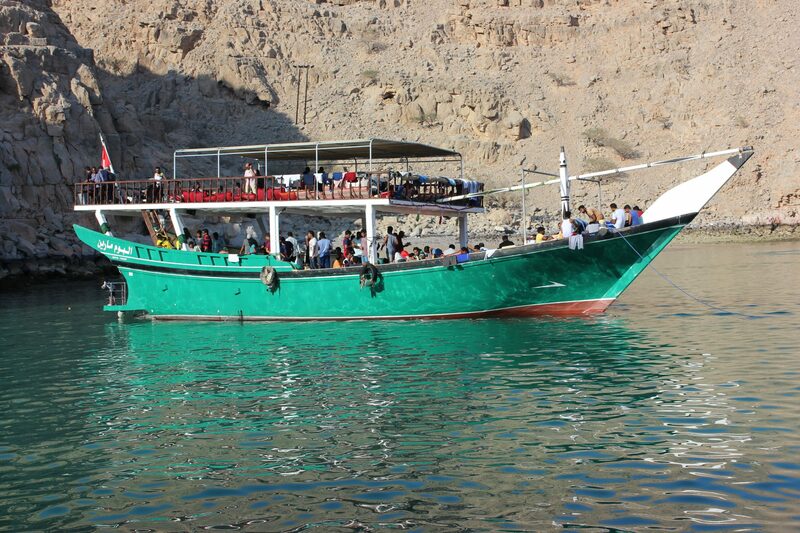 Here we go to start Musandam Tour Dibba on traditional dhow cruise ship waiting to sail along you for 6 Hour in deep waters of Musandam . 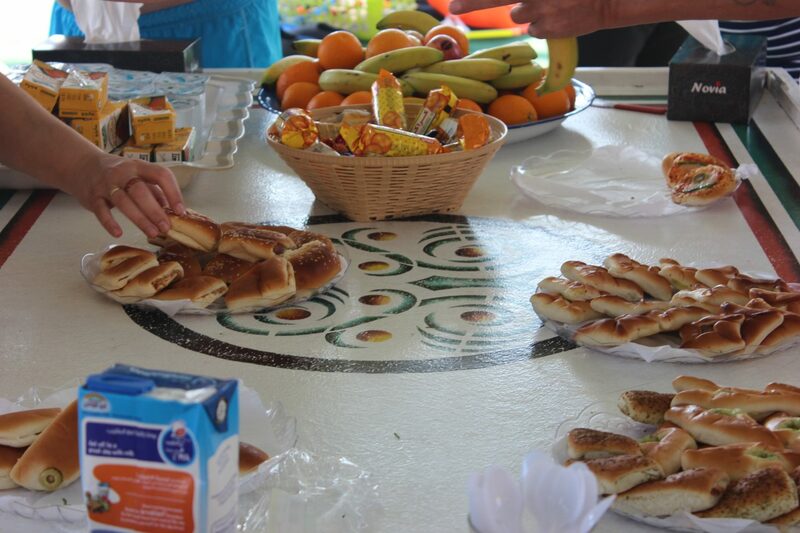 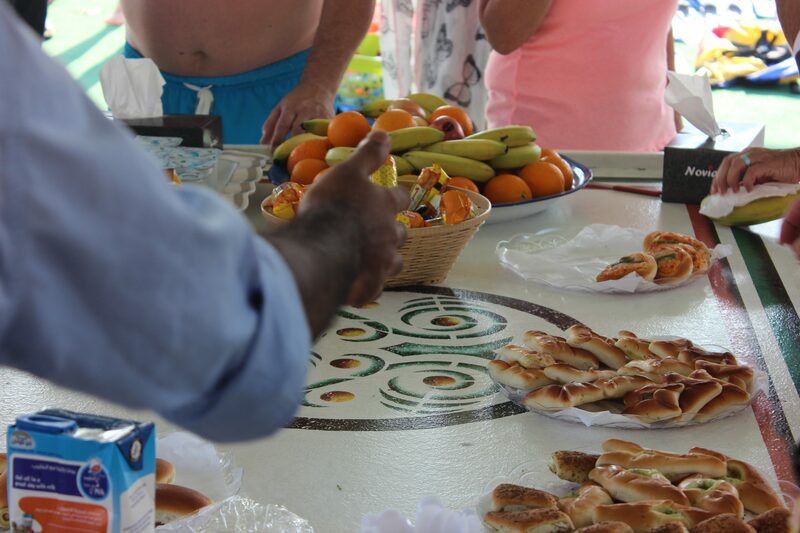 On board you can take welcome Tea / Coffee, soft drinks, water cans and cushion sitting on deck. 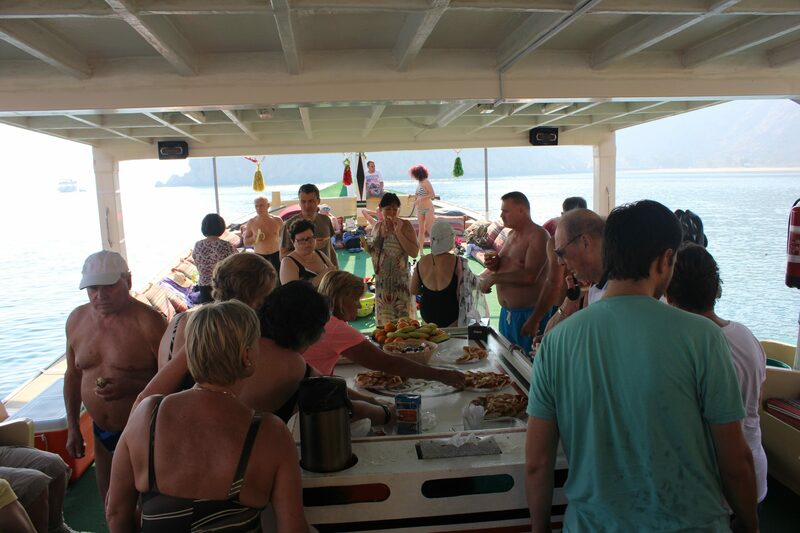 Also there is open top deck for sunbathing on pool chair or cushion sitting to take pictures of the surroundings. 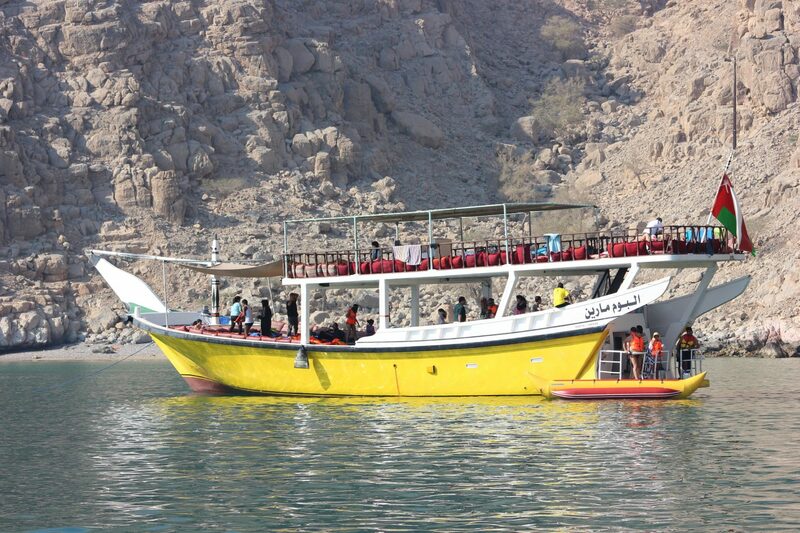 At a stopover in Musandam we offer life jackets to dive or enjoy Banana boat rides in open sea for 15 minutes. 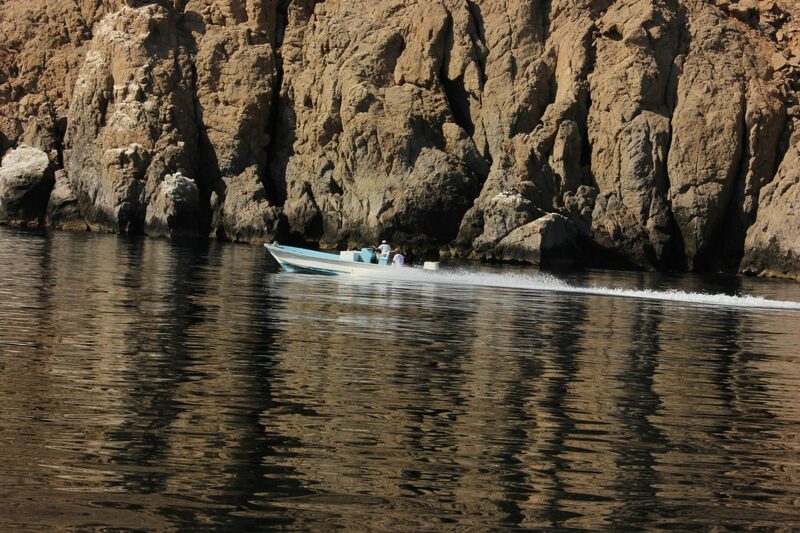 We stay for 2-hours over there, meanwhile you can dive and takes the picture of the beauty of nature. 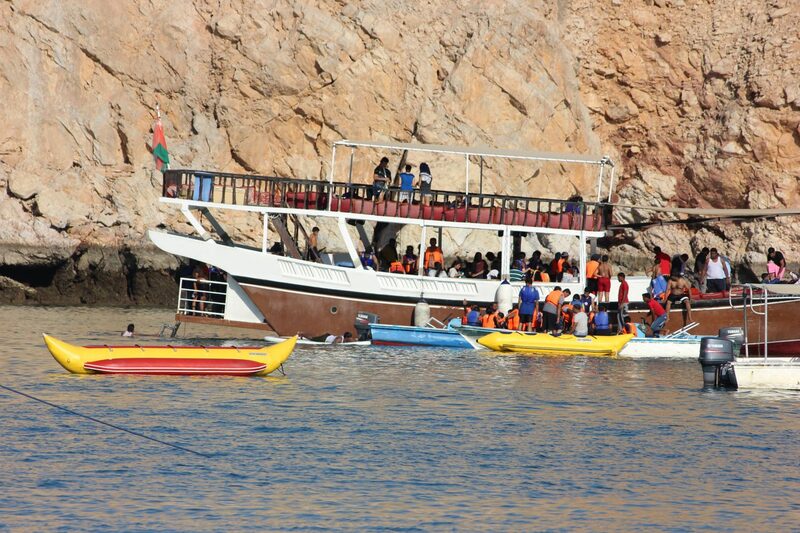 After the activity it’s time to go ahead for snorkeling dive with equipment. 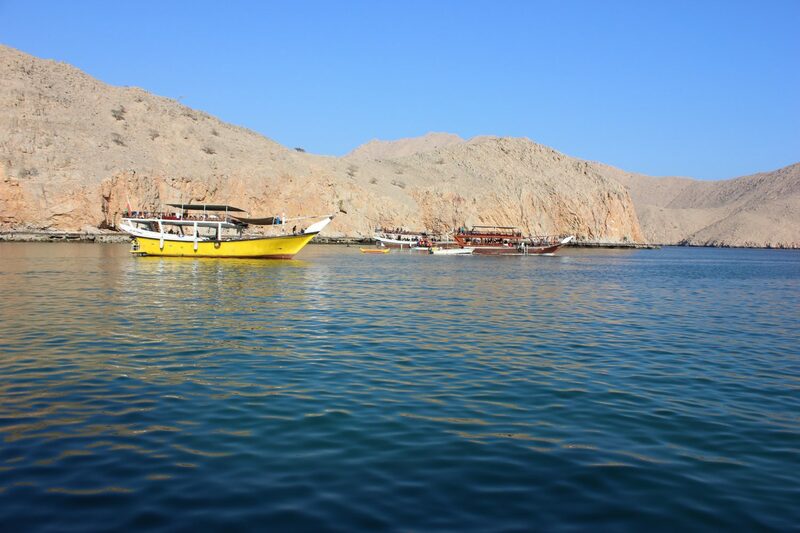 Here you can explore underwater beauty of Musandam Oman Tour with a guide. 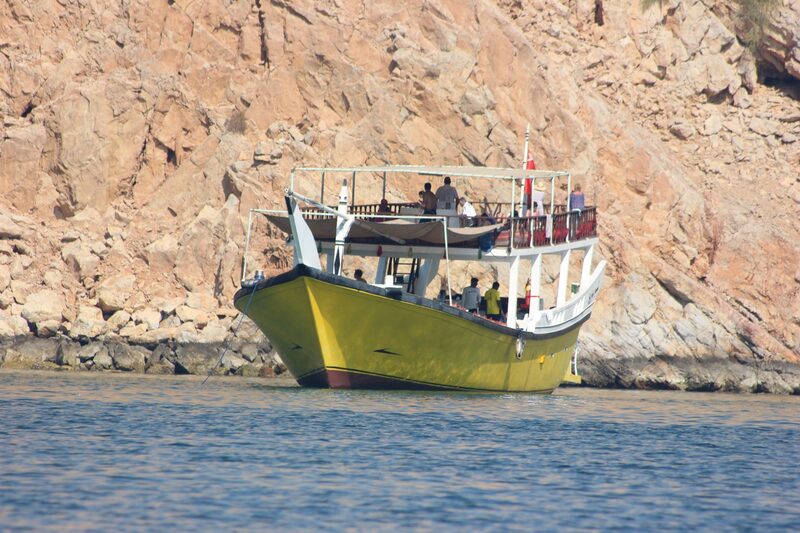 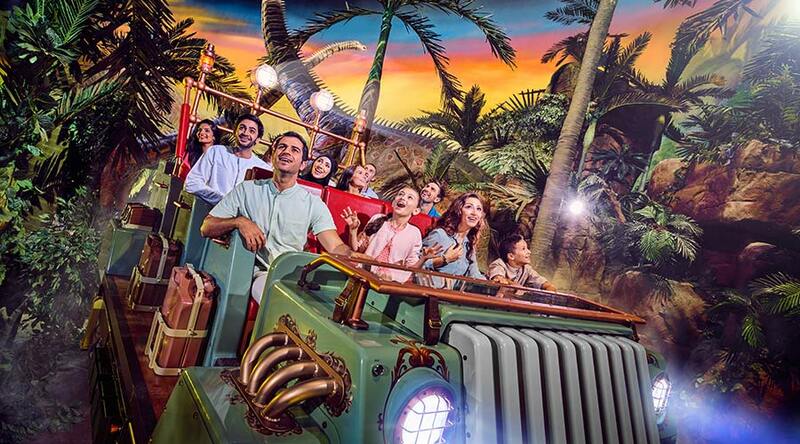 Explore underwater caves and enjoy a lot with fast rides on the boat.